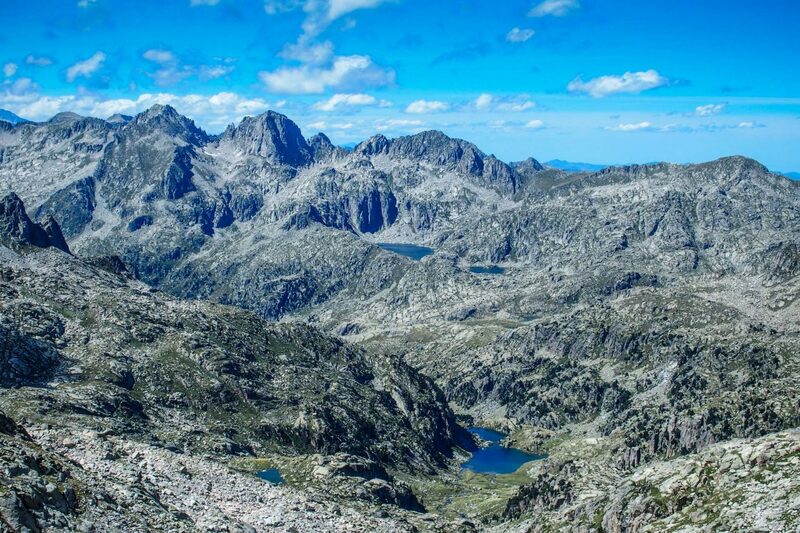 Running 491 kilometers (305 miles) from the blue waters of the Mediterranean Sea to the rugged coast of the Atlantic Ocean, and rising to over 3,400 meters (11,168 ft), the mighty Pyrenees mountain range forms the huge natural barrier that divides the Spain & the Iberian Peninsula from France & the rest of Europe. The Pyrenees spectacular topography includes some of Europe’s most impressive canyons and highest waterfalls, Europe’s highest limestone mountain, numerous glacial cirques and various extinct volcanoes. There is an amazing diversity of flora and fauna to satisfy even the most ardent naturalist. This is some of Europe’s finest hiking terrain, with a well-developed network of trails thanks to many centuries of explorers and mountaineers, travelers and traders, smugglers and shepherds. 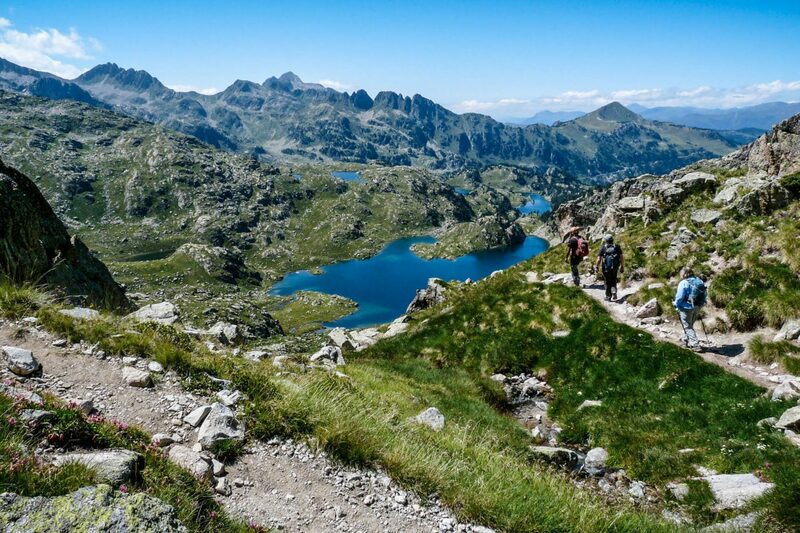 Although we focus on the Spanish side, many of our trips enter France as well, and the majority of our hikes take place in national parks and other protected areas in both countries and in some cases within a unique UNESCO World Heritage site & Biosphere Reserve that spans the border. 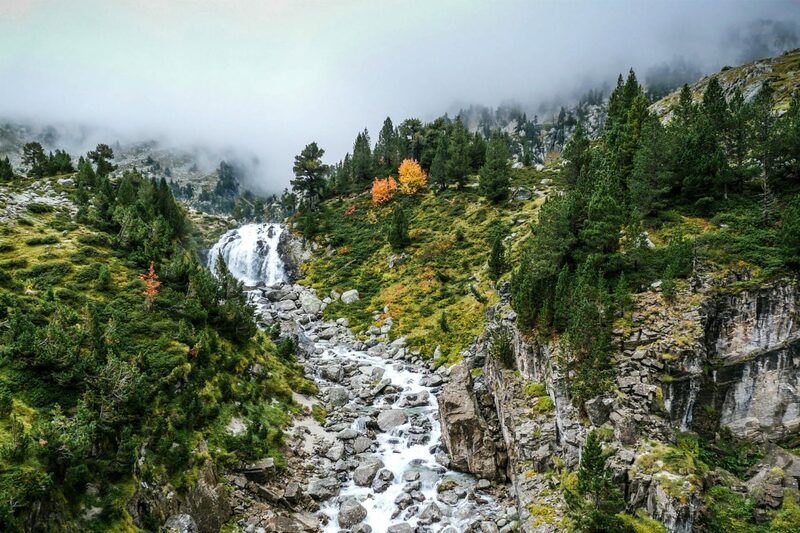 3 National Parks and several other protected areas, including: Spain’s Posets-Maladeta Natural Park; Cañones de Ordesa y Monte Perdido National Park; Aigüestortes I Estany de Sant Maurici National Park and the Sierra y Cañones de Guara Natural Park. France’s Pyrenèes National Park. Glorious views, exuberant flora and abundant fauna: the Pyrenees offer some of the world’s finest locations for alpine flowers and bird watching. Marmots and chamoix observe us from rocky perches and birds of prey soar overhead, including the Lammergeier – one of the world’s rarest birds of prey. Picturesque villages: our overnight bases range from medieval stone villages deep in the mountains with ancient churches, cobbled streets and traditional architecture to a quaint Basque seaside fishing village. History, culture and art: human presence since prehistoric times has created a legacy of ancient paths and settlements on both sides of the range. Our trips will bring you in touch with these mountains’ rich heritage, local culture and fascinating history. Excellent gastronomy: a diverse variety of cuisine combining fresh products from the mountains and valleys and sea (never far away), washed down with the excellent local wines. Option for a local mountain guide on days of your choice. Shorter or longer versions can be arranged. Contact us for more details! Available for private groups only. Shorter, longer or different trips can be arranged. Contact us for more details! 8 Days & 7 Nights. Guided. 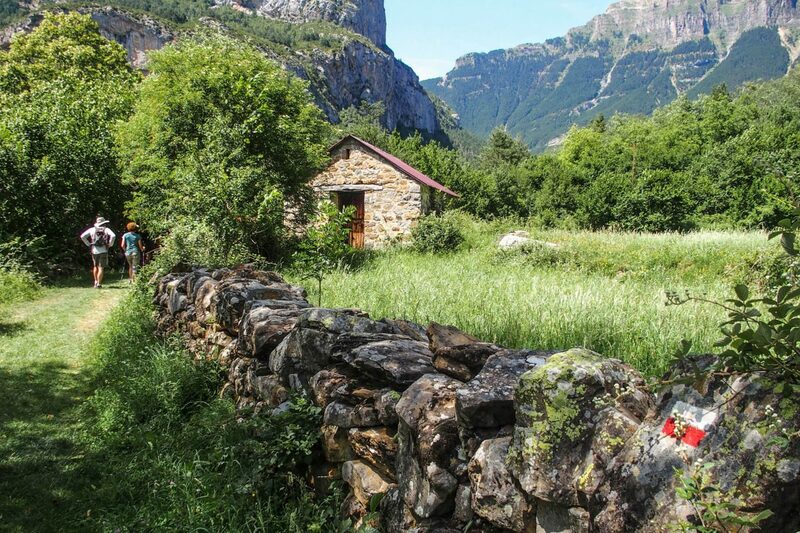 Explore both of Spain’s only two national parks in the Pyrenees, with classic hiking trails, traditional culture, fascinating history, great gastronomy. 5 Days & 4 Nights – Guided. 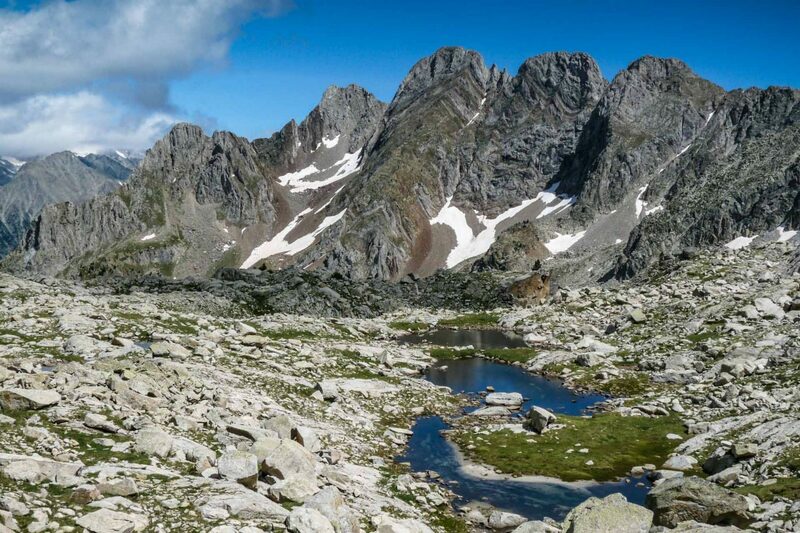 A 3-day circular trek around Pico Posets, at 3375 meters, the 2nd highest peak in the Pyrenees. 2 nights in mountain huts.